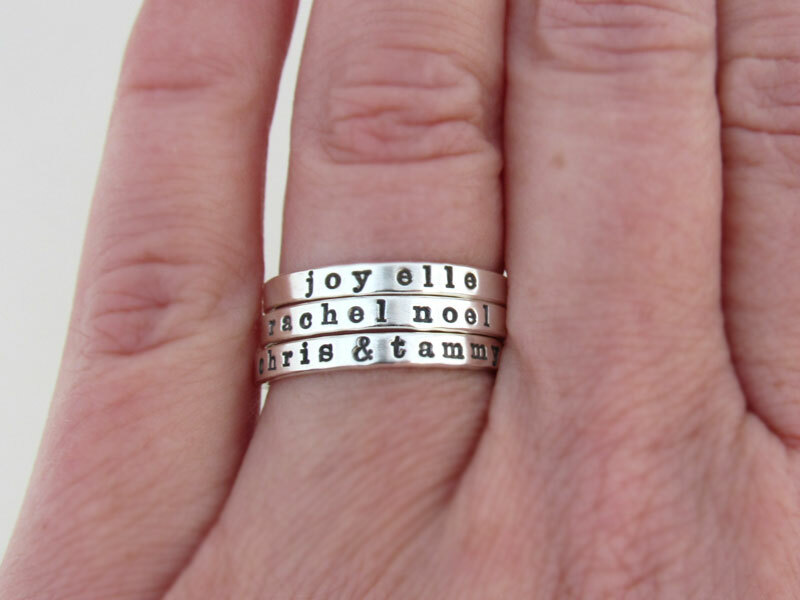 *PRICE PER RING Personalized rings can not be resized please request ring sizer if unsure of size. You may request a ring sizer to be sent to you after purchase but before I create your rings. Please put SEND RING SIZER in notes area with your personalized text. 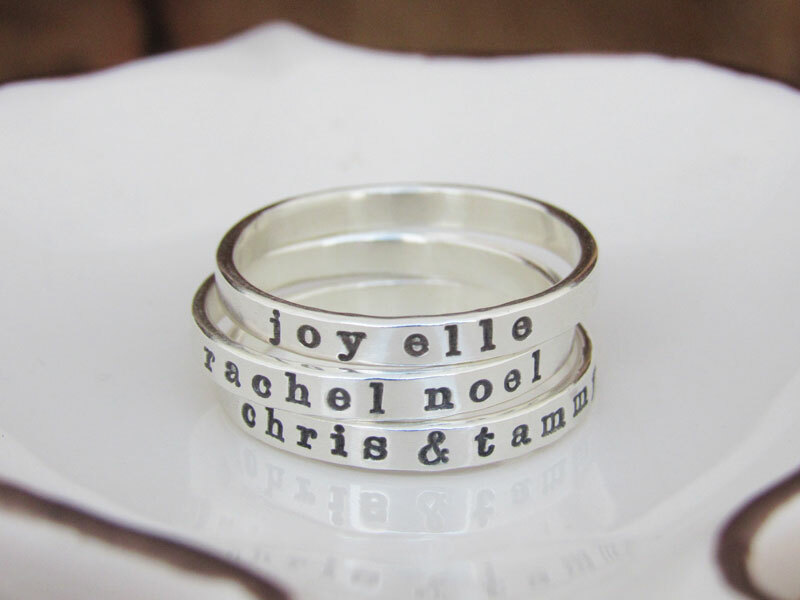 You will receive one personalized ring in your size requested. I make each ring so any size from 4-11 and half sizes are welcomed. 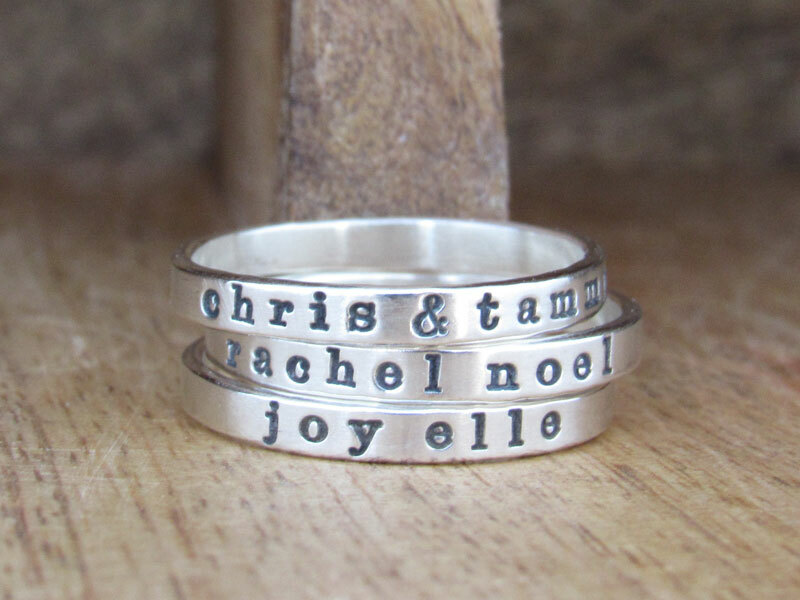 Rings are 2.7 mm wide and 1mm thick and fun to stack. Symbols I have to fit are: outline heart, ampersand, plus sign,and dash.